I’m in Spain at the moment. I flew over here on Sunday for my brother-in-law’s wedding. All good. However, this has been a nightmare journey. I woke up on Sunday morning with a temperature of 38.8C. And TomÃ¡s, our four year old, had a temp of 38. We managed to get the kids and bags ready and arrived at the airport on time only to have our flight to Spain delayed by four hours. We arrived at our hotel in Malaga (after deciding to overnight there) at 2:30am. I drove to Seville the following (Monday) morning. I still had a high temperature and collapsed on the hotel bed when we arrived and awoke 3 hours later. I saw a doctor later in the day and he told me I had a bad lung infection and was heading for pnuemonia. I am now on antibiotics and getting better but still haven’t eaten since Saturday lunch! To cap it all, Pilar and Enrique are now sick as well (Enrique’s temp was 39.9 last night) and there is no wifi in the hotel room so I am getting online extremely intermittently. Still, the weather here is beautiful. I looked out the hotel window last night and one of the street signs which also gives the temperature was reading 17C. At 8pm. In January. Hard to beat that! I went to BarCamp Galway over the weekend. I arrived a bit late because I drove up from Cork on Saturday morning and then spent around 30 minutes wandering around NUIG looking for the DERI institute before I realised it is off-campus! I eventually made it at 11 – just in time for coffee and muffins. Just as well, I was starving and needed to satisfy my muffin cravings. I didn’t make it along to many talks because, although I originally only signed up to give one talk, a mis-communication had me down for two talks and a panel discussion! My first talk was about reducing ITs carbon footprint. I uploaded the slide deck to SlideShare. The second talk was more of a conversation around video blogging so no slides. I did get to hear Ina‘s great talk on Social Networks and Alastair‘s also excellent talk on Internet Marketing. I also met loads of interesting people there including Martha Rotter, Microsoft’s replacement for Rob Burke. I’m sure Martha is sick of hearing how great Rob was but, in fairness to Microsoft, it looks like they picked another winner with Martha (and if she allowed people to leave comments on her blog without having to register, I’d tell her that!). The talks, the wifi, the food all worked perfectly – well done John, Aidan and Conor. Guys, you set the bar high. 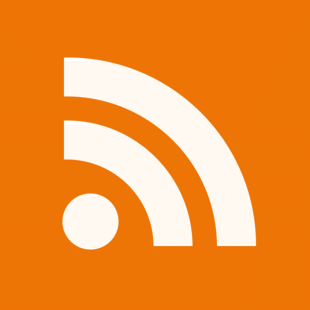 Google Reader saved my life! Still, I was away recently on holidays for three weeks and I didn’t bring my laptop with me. I was offline. Cut off from the infostream for the first time in months. Then one evening, while walking my son Enrique around the local plaza, I noticed there was wifi available on my phone (Nokia E65). I fired up the browser on the phone, navigated to Google Reader and I nearly cried when I saw all my subscriptions load on my phone (sad aren’t I?)! I was able to read my feeds, share interesting stories, and star ones I wanted to come back to – wohoo! I was able to get my info fix once more. Enrique got taken for a lot of walks in that plaza for the rest of the holiday!!! Anyone know of any good resources for networking a Mac (running OS X) and a PC (running Vista) on a peer-to-peer lan network? I’m asking because I have a 4.75gb file on my Vista machine which I want to transfer to the Mac and it is too big to burn to DVD. I have turned on File Sharing for Windows on the Mac but although the two machines are on the same subnet (192.168.2.x), and both can ping the router (192.168.2.254) neither can ping the other! I have tried both wireless and wired networks, to no avail! I’m writing this post in Terminal 3 of Heathrow Airport waiting to board a flight to Chicago (and then another to Vegas) for Microsoft’s MIX07 conference. I’m looking forward to the conference, the line-up of talks looks really impressive and I’ll get a chance to meet some great people. What is really cool as well is that Pat Phelan has ensured that my phone charges while I’m there will be minimal! How did he do that? Well, he mapped a Cork number (+353212349915) to my TruPhone number. Now anyone who calls me from Ireland can call me on the Cork number Pat provided and, as long as I’m in a wifi zone, I will receive the call without incurring any roaming charges. And with Truphone, all outgoing calls to landlines are free until the end of June! The only time I expect to incur call charges is if I have to call someone on mobile. I set up a Truphone account to try out with the Nokia E61 I have been using the last few days. Truphone gives you a US landline number when you sign up for an account with them (mine is 14259053151). Calls to this number are supposed to be routed to my mobile whenever I am logged into a wifi hotspot on the phone’s wifi. Unfortunately, although this worked fine yesterday, it has stopped working today for some reason. Calls to my US number now go straight to voice mail. Is your mobile operator crippling your phone? Making calls from your mobile over wifi, instead of your mobile provider’s network, saves lots of money on call charges. This has the obvious consequence of reducing the income of the bloodsucking mobile operators (all together now, awwwww). If your mobile operator has done thisto your phone, shame on them. I presume re-installing the original Nokia firmware on your phone will bring back the Internet calling functionality. Can anyone confirm this? FON have a nifty little idea (and some investment from Google, Skype and Index Ventures, if memory serves). Their idea is that if you use one of their wireless routers, you get a login which you can then use on any other FON owner’s wireless router. This gives you free wi-fi Internet access anywhere there is a FON user. Great. One thing about this really bugs me though. Whenever my computer has to re-establish a connection with my router (whenever it wakes from sleep, or I return to the office from a meeting), if I try to browse to an Internet page, I am presented with the FON login page. This wouldn’t be too bad, if the login page could remember the page I was originally trying to browse to and re-directed me there after successful login. No, instead the successful login re-directs to a useless FON page. Now, consider what happens when I re-start my computer. I shut down my browsers (I generally have 4-5 browsers running simultaneously with 30-40 tabs per browser). When I re-open any browser, I am presented with 30-40 FON login pages with no hope of getting back to the page which had been originally open. This happened once too often this morning and I am now turning off my FON router. FON, if you get this issue resolved, let me know and I will give you another try. Until then, hasta lluego! I see Damien is chairing an event in the Rochestown Park Hotel on tomorrow at 6pm called Staying Competitive in the International Arena. The event has an interesting line-up of speakers including Pat Phelan of Roam4Free. If you have the time, I’d say it will be well worth dropping along. Zune to illegally add DRM to podcasts? Microsoft is to launch the Zune on November 14th according to its PR site. This date is just in time for the American holiday of Thanksgiving. What is not clear from the site is if this is an American launch date of a global launch date. I wrote, in not too glowing terms previously about the Zune. One criticism I missed at that time is that if someone shares one of my podcasts over wifi on the Zune, the Zune adds on its own DRM to my podcast, in direct contravention to my podcast’s Creative Commons Licence causing the podcast to self-destruct in three days or after three plays. Can someone in Microsoft explain the legality of that to me please? ‘Cos to me, that’s just plain illegal.